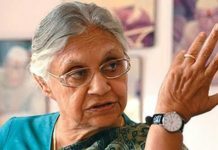 Chandigarh, February 7: Trashing allegations of dynastic politics against the Congress, Punjab Chief Minister Captain Amarinder Singh on Thursday said people vote not for dynasty but for individuals, and declared that Rahul and Priyanka made a great team, which would wipe out the anti-people BJP-led NDA government at the Centre in the forthcoming Lok Sabha polls. 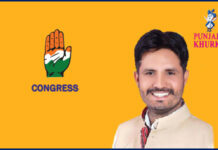 Asserting that Rahul had evolved greatly as a leader, as manifest in the recent Congress victories in Rajasthan, Chhatisgarh and Madhya Pradesh, Captain Amarinder, who was speaking at a conclave organized by the leading media house, described Rahul as extremely receptive, with a deep understanding of things, and said the party president would make an excellent Prime Minister. 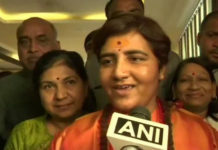 “With his sister coming in, they will make a great team and would be an asset to the Congress,” he said, adding that in contrast to his mother, who used to listen and mull on issues, Rahul discusses and takes decisions right away, with total confidence. Drawing an analogy with his own style of governance, Captain Amarinder said lot of his colleagues also tell him to fix x, y or z but he did not believe in indulging in political vendetta. Investigations are in progress on all the allegations against the Badals and Bikram Singh Majithia and they will pay for their misdeeds, the Chief Minister declared, ruling out any vendetta in his actions. 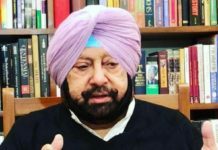 On the performance of the Narendra Modi government at the Centre, Captain Amarinder quipped that the only people who had benefitted by the prime minister’s action were the Adanis and their likes. The Modi government had failed to do anything for the welfare of the farmers, who were not even being given the MSP on various crops, he said, adding that even the sugar and cotton industries were in the doldrums. 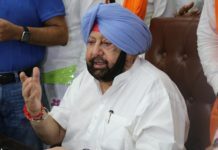 Lambasting Modi for backtracking on the issue of implementing Swaninathan Report, Captain Amarinder Singh said that the report had to be implemented in toto and not piecemeal for their own advantage. Despite being a minister in the central government, Harsimrat Badal had also failed to do anything for the state or its people, particularly the agrarian sector, said the Chief Minister. 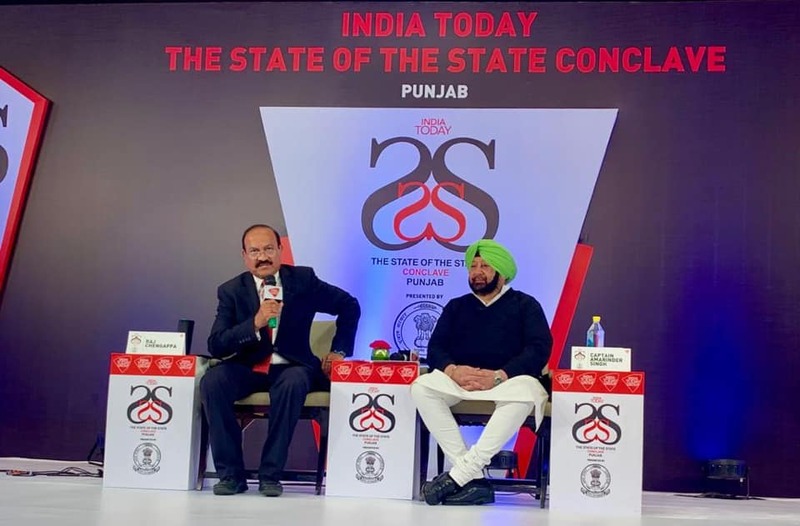 His own government had managed to bring things on track despite the massive fiscal crisis it had inherited from the erstwhile Badal government, which had brought Punjab to a state of total devastation, the Chief Minister said. Apart from successfully generating 6.25 lakh jobs in less than two years, his government had so far waived off Rs. 4786 crore of debts of the farmers, which, though not sufficient, was much better than the Rs 17 a day announced by the Modi government in its recent budget, he added. Listing out the major challenges before the BJP in the forthcoming elections, Captain Amarinder said that the disenchantment amongst the youth due to mass scale unemployment and the acute hardships faced by the distressed peasantry would lead to its defeat. 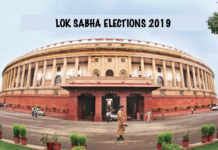 He also lashed out at the prime minister for damaging India’s global image of secularism, communal harmony and religious tolerance by indulging in petty vote politics. 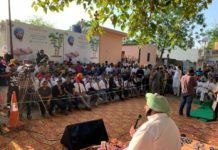 Hailing the opening of Kartarpur Corridor, the Chief Minister said that though it was a welcome step, there was need for vigilance as the ISI could misuse it for its own nefarious ends. He said the Pakistan military had been constantly thwarting any move or initiative made by Indian Governments for peaceful resolution of bilateral issues. On the issue of Navjot Sidhu taking part in the ground breaking ceremony in Pakistan, the Chief Minister said that he had no objection to the minister attending the ceremony as Pakistan PM Imran Khan had personally extended an invitation to him due to their close friendship since their cricketing days. 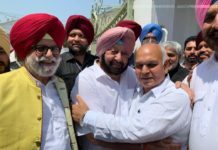 He had, however, conveyed his displeasure to Sidhu on the issue of hugging the Pak army chief, who was directly responsible for killing thousands of Indian civilians and brave soldiers. Prominent amongst others present on the occasion included Cabinet Ministers Tript Rajinder Singh Bajwa, Sukhbinder Singh Sarkaria, Balbir Singh Sidhu, Charanjeet Singh Channi, Sunder Sham Arora, Media Advisor to CM Raveen Thukral, Principal Secretary to CM Tejveer Singh, Special Principal Secretary to CM Gurkirat Kirpal Singh.